Displaced American IT workers, and recent grads struggling to find a tech job, just received good news. A February U.S. Citizenship and Immigration Services memo advised employers hoping to hire a foreign-born engineer that they would have to conclusively prove that no qualified American is available. Given the numerous fired American engineers at Disney, Caterpillar, Metropolitan Life and dozens of other high-profile U.S. corporations, demonstrating that Americans are unavailable will be challenging. Plenty of them are out pounding the pavement. Among others that concluded corporate employers who prefer cheaper overseas workers may have hyped the American-shortage is 60 Minutes, notable because over the decades it has featured many pro-H-1B segments. Another skeptic is Challenger, Christmas and Gray, outplacement specialists, which reported that in 2016 the tech sector was responsible for 18 percent of the 526,915 total announced job cuts. Finally, the annual guest worker inflow is equal to half of all tech hires each year at a time when U.S. colleges graduate plenty of science, technology, engineering and math STEM professionals. 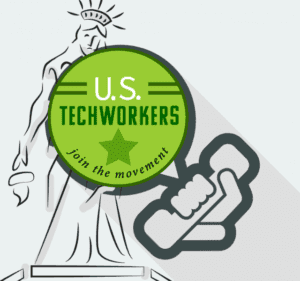 The USCIS advisory memo has been met with criticism from the usual suspects, namely the tech industry, and immigration advocates, especially those who promote more employment-based visas like the H-1B. But the USCIS request is logical and sets appropriate standards for overseas workers who wish to enter the U.S. on a temporary, non-immigrant visa that often leads to lawful permanent residency. For their part, employers must provide detailed information about why they need to hire someone from abroad instead of a U.S. citizen. USCIS defends its more rigorous, but logical, release as an effort to eliminate H-1B fraud which has been a constant since Congress created the visa in 1990. In 2017, federal prosecutors successfully won convictions against two major H-1B fraud perpetrators. A Virginia man who pleaded guilty to visa fraud and making false statements is now in jail and facing eventual deportation to India. Raju Kosuri used shell companies to fraudulently apply for nearly a thousand foreign workers visas. For years, Kosuri ran what prosecutors in an Alexandria federal court described as a visa-for-sale system. He used the H-1B program for allegedly specialized foreign workers, generating more than $20 million through the scam. And in tech capital San Jose, Sridevi Aiyaswamy lied and submitted false documents, including counterfeited “statements of work” with forged signatures, to immigration officials which claimed that her clients had jobs awaiting them at Cisco Systems Inc. Altogether, Aiyaswamy, who faces a maximum statutory penalty of 10 years in prison and a $250,000 fine, “enabled over 20 alien workers to either remain in or enter the U.S. under false pretenses,” according to a pretrial statement filed by the U.S. Attorney’s Office. The Alexandria and San Jose cases alone represent more than 1,000 jobs that American workers were denied because of the flawed H-1B visa application process. 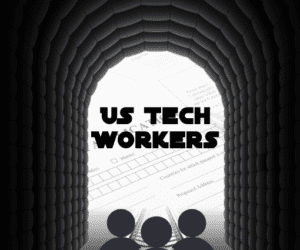 The 1,000 plus total represents but a fraction of the jobs Americans have lost out on because of H-1B fraud, and may not sound like many to anyone except to unemployed, but skilled, U.S. tech professionals yearning to return to work. After 25 years of lax H-1B standards that have consistently put Americans second, tougher regulations are overdue.